Living here in Texas, our mosquito problem lasts about 10 months out of the year. Some even joke that the mosquito is our state bird! Anyways, one of the products we’ve come up with is not a new idea, nor is it the first time it’s been done. 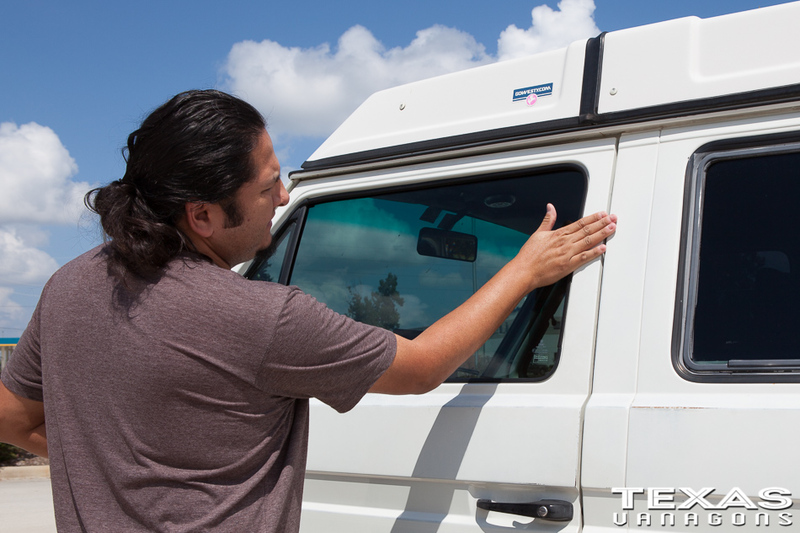 We’ve come up with some TexasVanagons Bug Screens which as bug screens that attach to your van via magnets. Sure there are others on the market but none that I really liked so I figured I’d try making a few sets of my own. We currently make 2 different sizes. 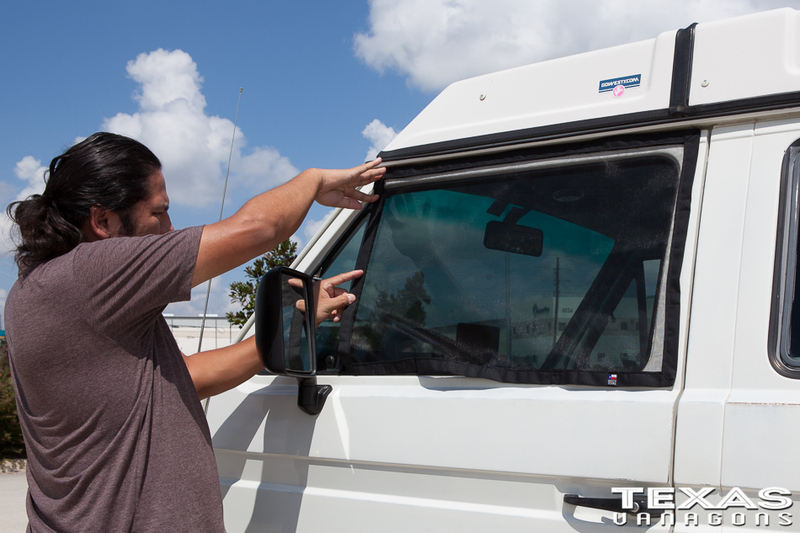 The Small size will fit all 1980-1991 Vanagons with standard mirrors or aftermarket Truck Mirrors. The Large size will all 1980-1991 Vanagons with standard single mounting point mirrors only. I myself like the Large size. I feel they just look better when installed and tend to make it easy to seal up all of the air gaps. 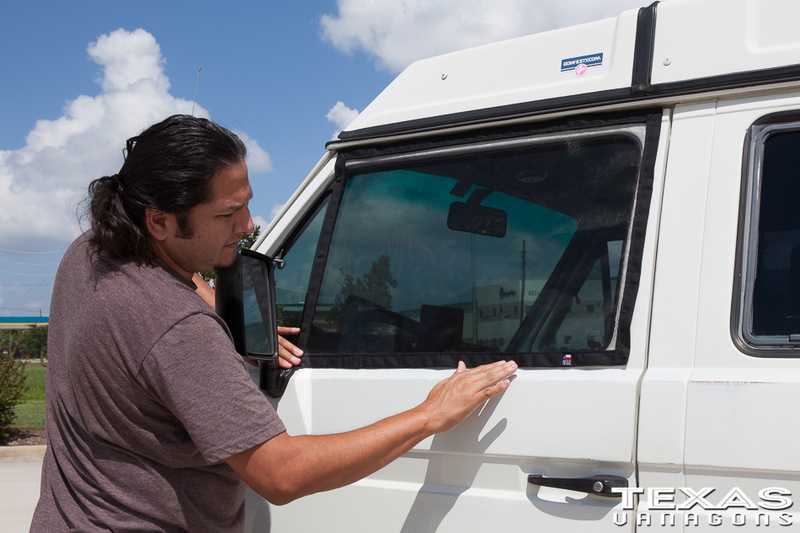 It is important to make sure the surface area around your window is clean prior to placing the screens on your van. It is also important to clean the magnets of your screens every so often to make sure there is no debris stuck to the magnets. If dirt and/or debris is on the magnets or on the door surfaces these strong earth magnets can cause scratching to your van if that debris is stuck between the magnets and your door. 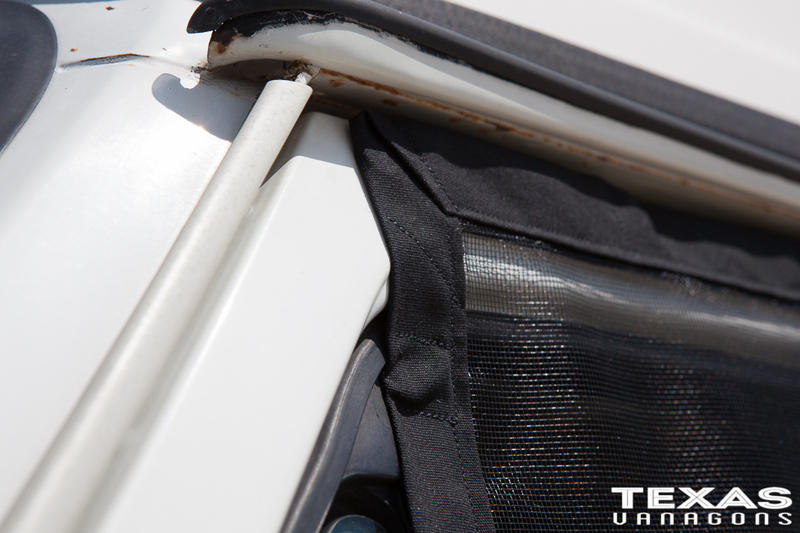 One of the reasons we supply a carrying bag is not only to protect your TexasVanagons Bug Screens but also to help keep stray debris from sticking to your magnets during storage. 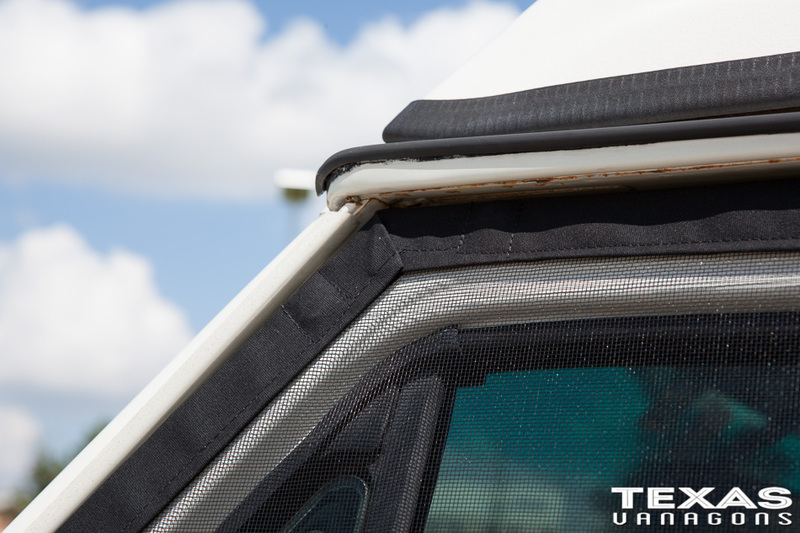 Your TexasVanagons Bug Screens (Small) will come in a protective carrying bag. 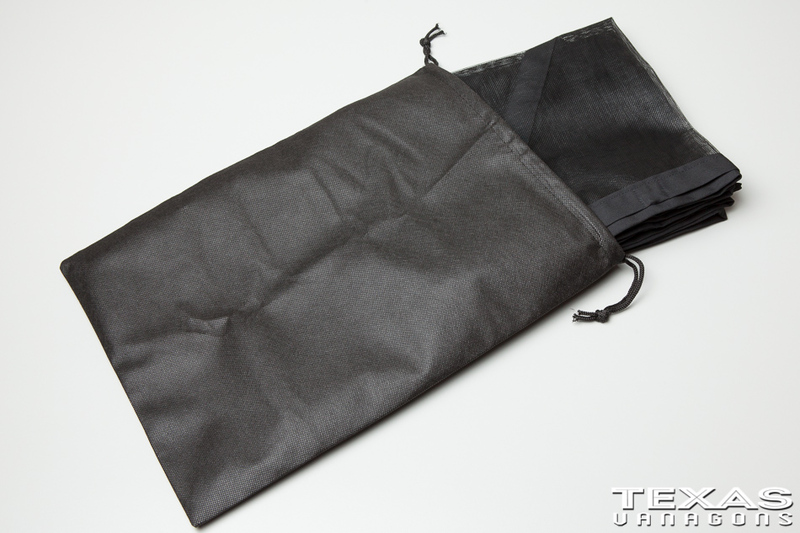 This bag helps protect your screens as well as helps keep random debris from sticking to the magnets in your screens. 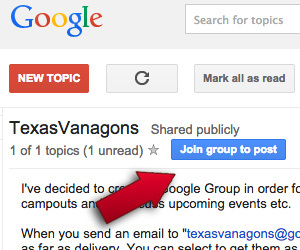 Please take note on how your TexasVanagons Bug Screens (Small) arrive when you take them out of the bag. I prefer to fold these screens in a certain way as to know which side is the driver’s side and which side is the passenger’s side. 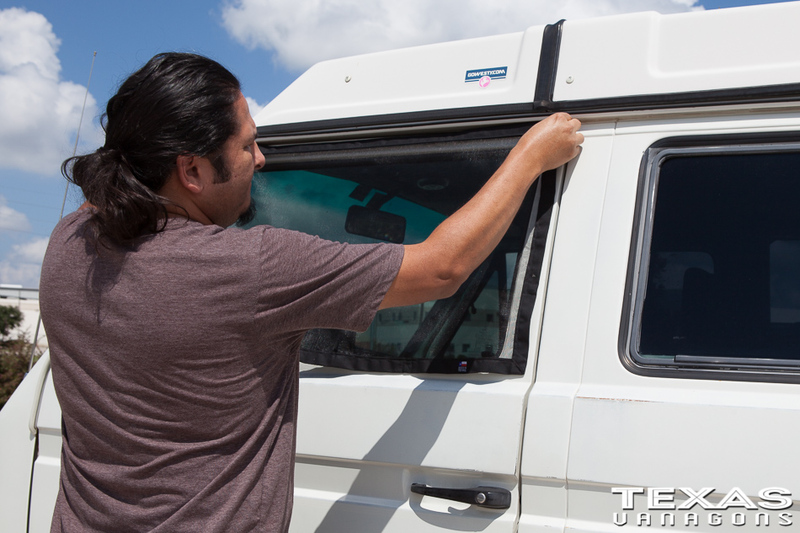 The MADE IN TEXAS tags are located near a 90 degree corner which will be towards the rear of the van. 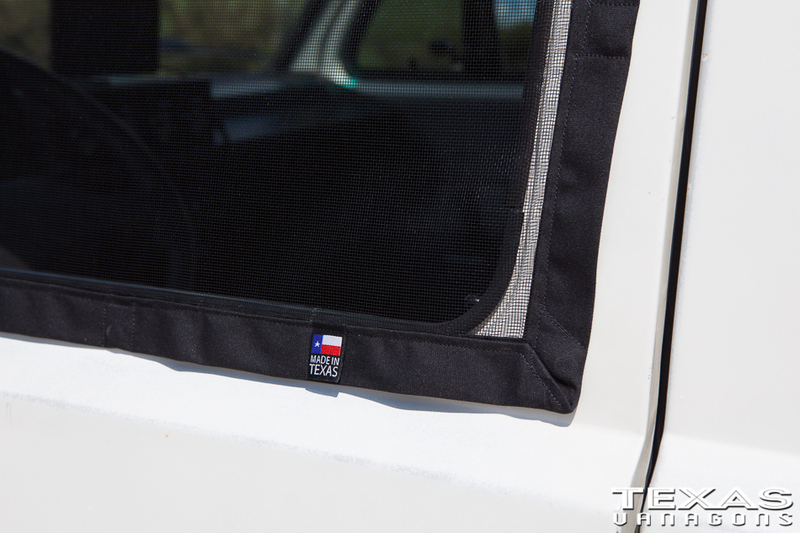 I’d recommend getting in in the habit of folding your TexasVanagons Bug Screens (Small) in this way as well. As mentioned in the Care Instructions above, it is necessary to make sure there is not dirt or debris on the metal frame of your door surrounding the window area. 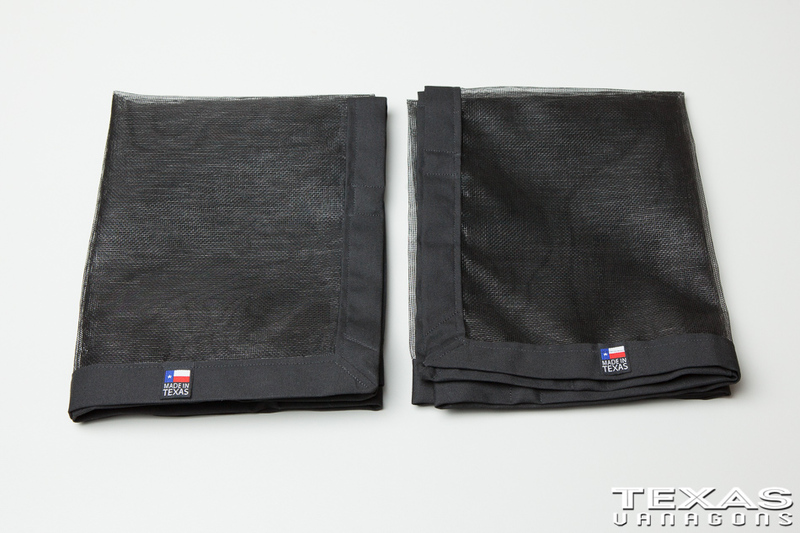 Wipe it down with a rag or your hand in order to dust off the area prior to placing your bug screens in place. I prefer to install these bug screens with the windows rolled up. 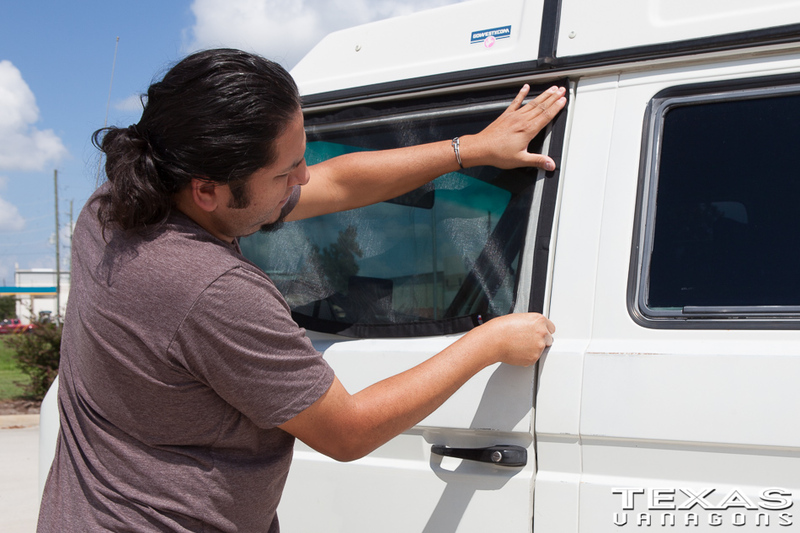 This way if there is a bad mosquito or bug problem were you’re camping at, the closed windows won’t allow stray bugs into the van while you’re installing the bug screens. Place the upper left hand corner of the screen in your left hand and the upper right hand corner of the screen in your right hand. Place the top of the screen onto the top portion of the door. Carefully walk down the sides to make sure the material is taut and there are no air gaps. Carefully walk down the most forward side making sure the magnets on this side adhere to the black metal vertical frame. Make sure the material is taut and there are no air gaps. Adjust all sides if necessary in order to make sure there are no air gaps. 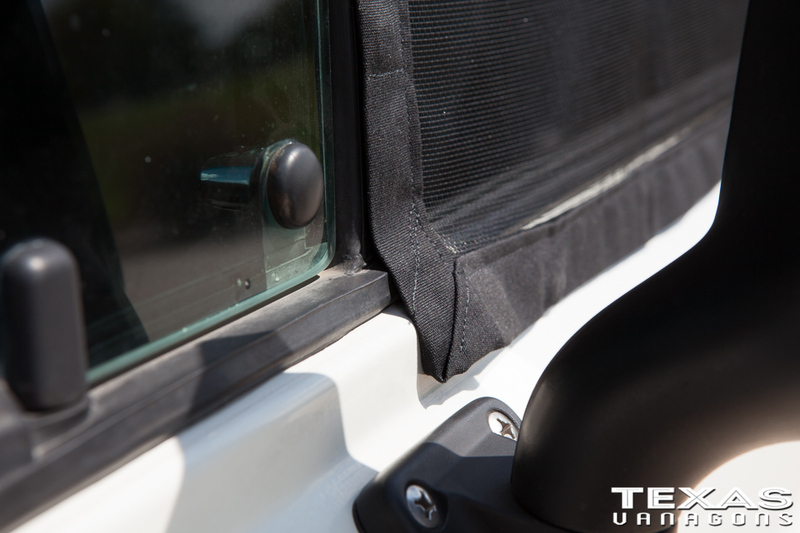 A nice sealed installation will help keep all bugs out of your van. The bug screen is in place. 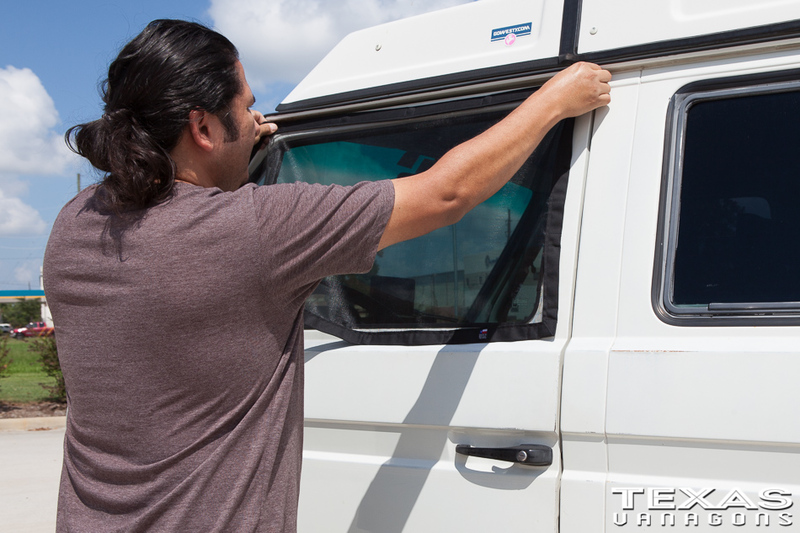 Now you can roll down the window from the inside of the van without letting any unwanted bugs in. Notice the MADE IN TEXAS tag located to the rear of the van. This is an important location as these Bug Screens are not symmetrical. 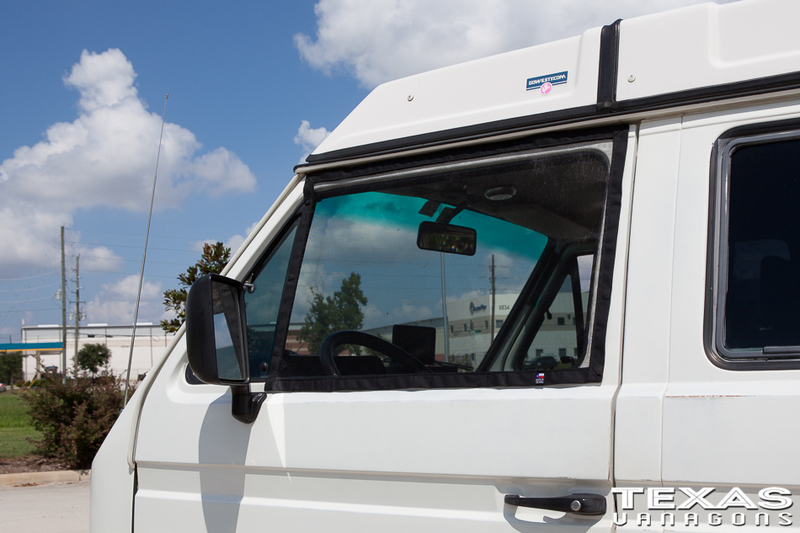 There are 5 magnets on the front end of the screen in order to accomodate the vertical metal frame in the window. Where the metal vertical frame will require the Bug Screen to make a step down and a step up in order to close up all of the air gaps. We’ve located extra magnets in these locations in order to help seal up that area. 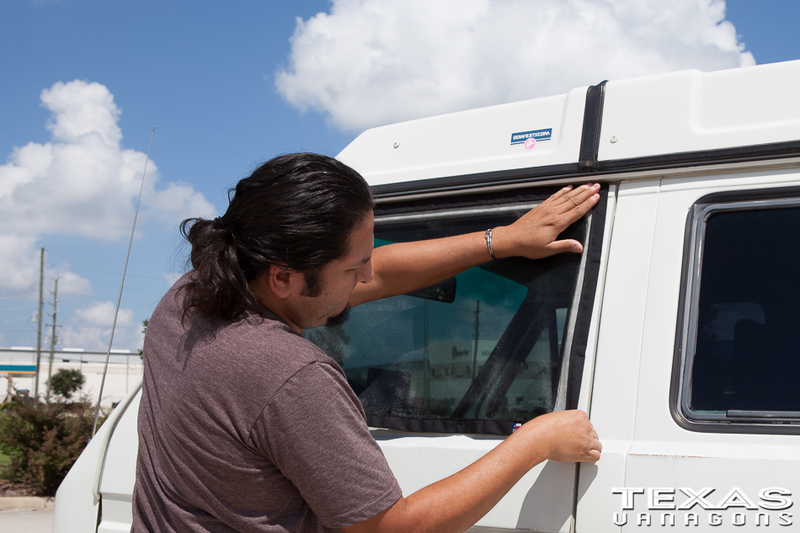 When you install your screens be sure to double check that these air gaps are closed off. 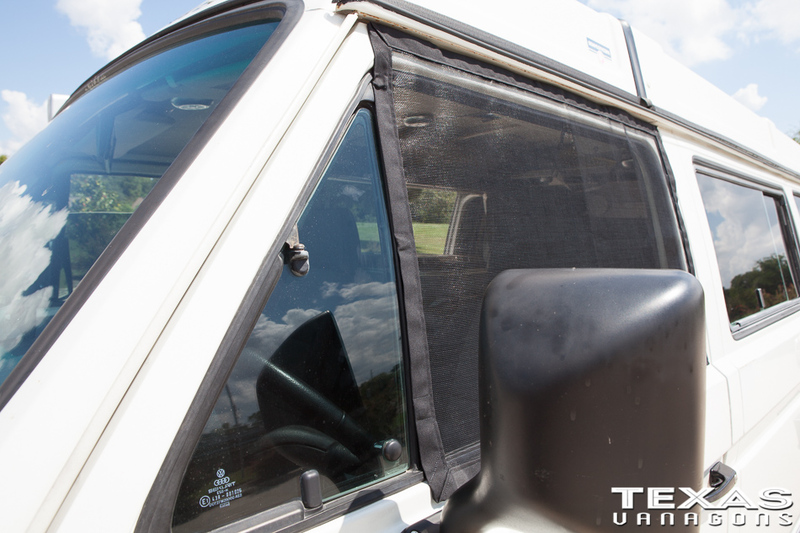 Your TexasVanagons Bug Screens (Large) will come in a protective carrying bag. 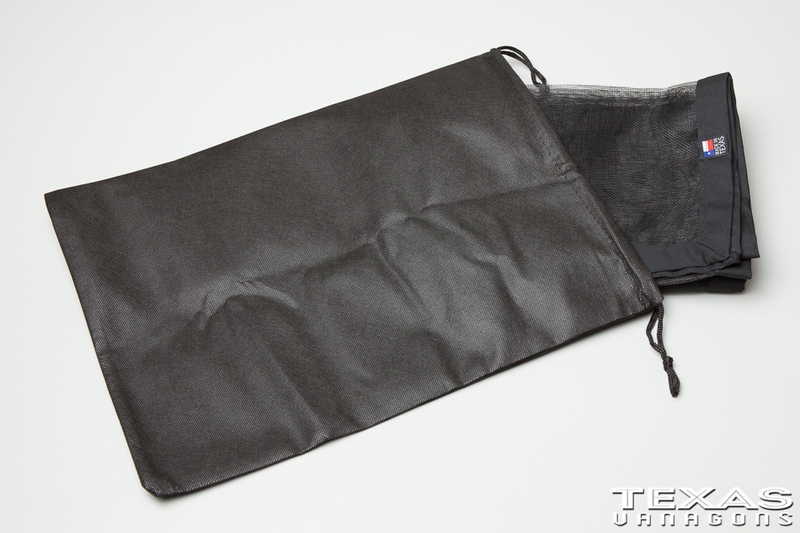 This bag helps protect your screens as well as helps keep random debris from sticking to the magnets in your screens. 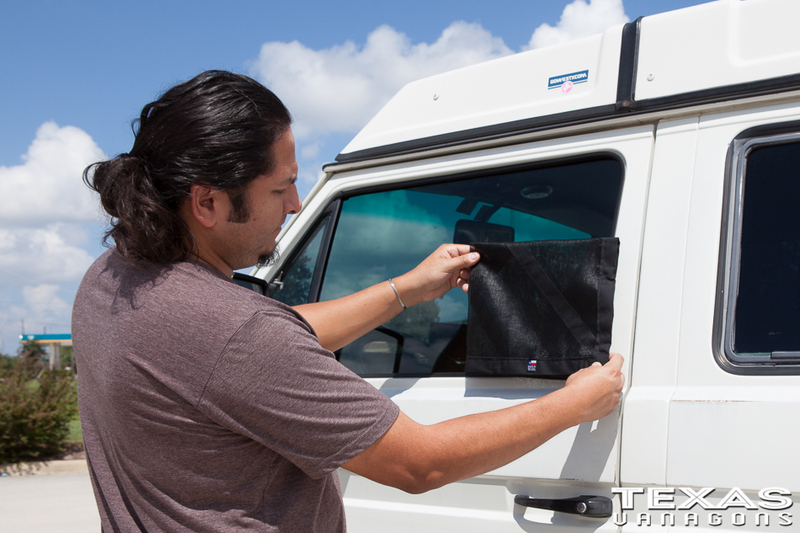 Please take note on how your TexasVanagons Bug Screens (Large) arrive when you take them out of the bag. I prefer to fold these screens in a certain way as to know which side is the driver’s side and which side is the passenger’s side. 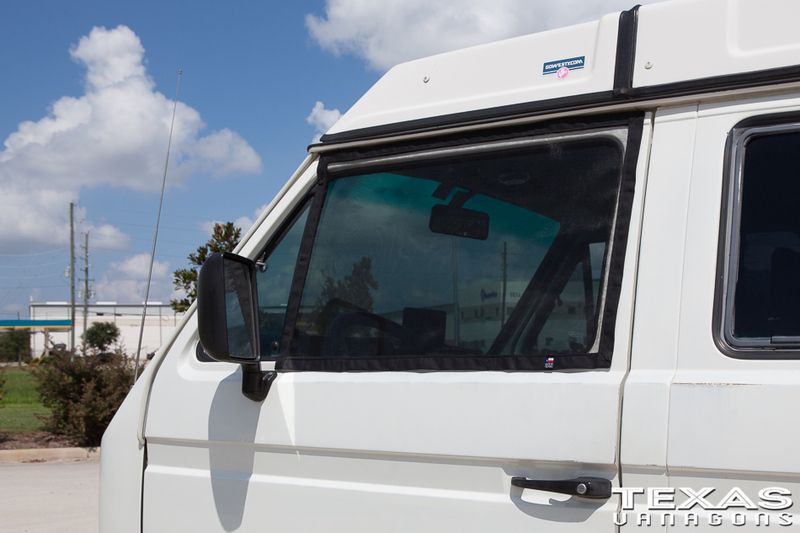 The MADE IN TEXAS tags are located near a 90 degree corner which will be towards the rear of the van. 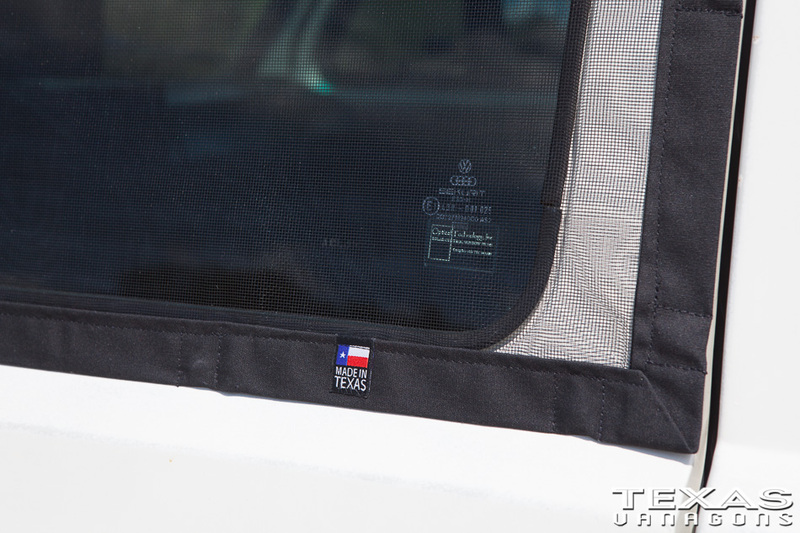 I’d recommend getting in in the habit of folding your TexasVanagons Bug Screens (Large) in this way as well. Carefully walk down the most forward side making sure the magnets on this side adhere to the sloped are of the door frame. Make sure the material is taut and there are no air gaps. Notice the MADE IN TEXAS tag located to the rear of the van. This is an important location as these Bug Screens are not symmetrical. This takes the guesswork out of which side is which. Make sure the screen is nice and taut at all corners. 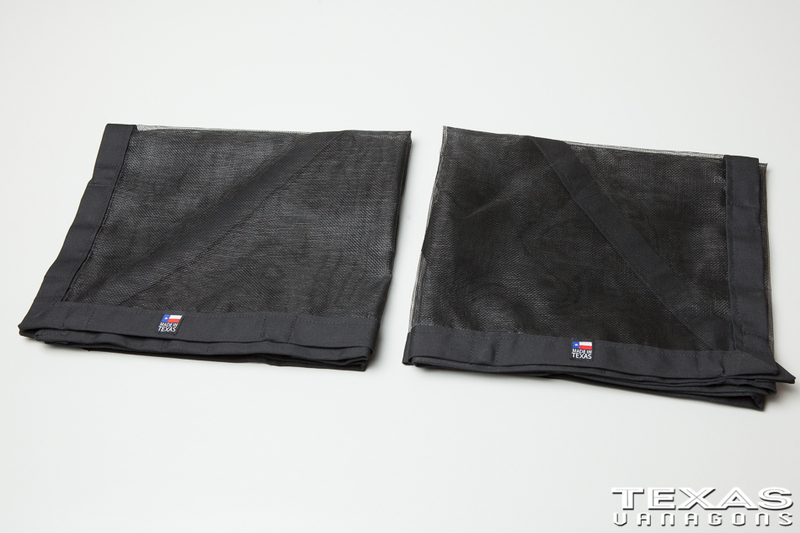 Now you can let the cool breeze in while keeping the bad bugs out! 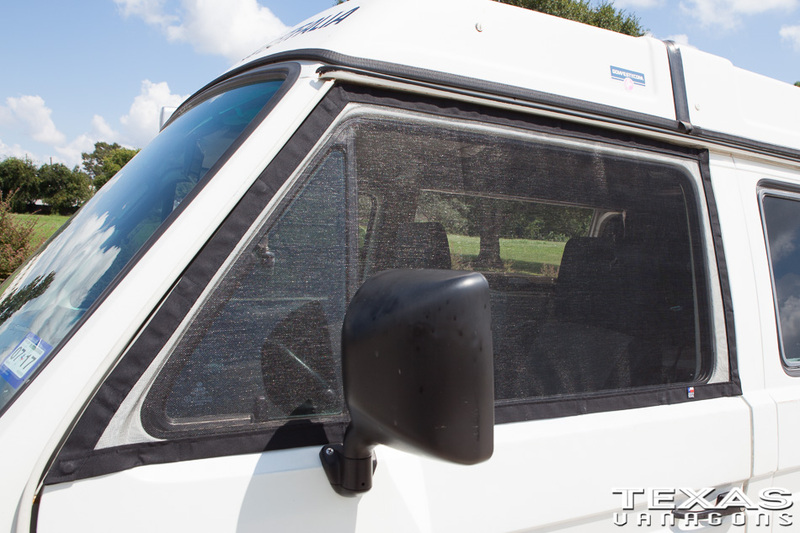 Interested in a set of the large bug screens for my tintop. Please let me know when these ate back in stock. 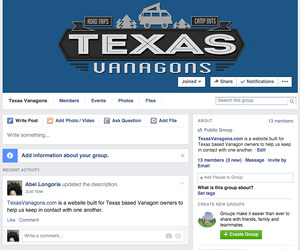 Ron, connect with Abel @ texasvanagons.com for price of the small or large screens. I received my “Large” screens and they’re a thing of beauty and quality. Hi Abel, I was hoping l could talk you and your mom into making a set of screens one more time. ??? 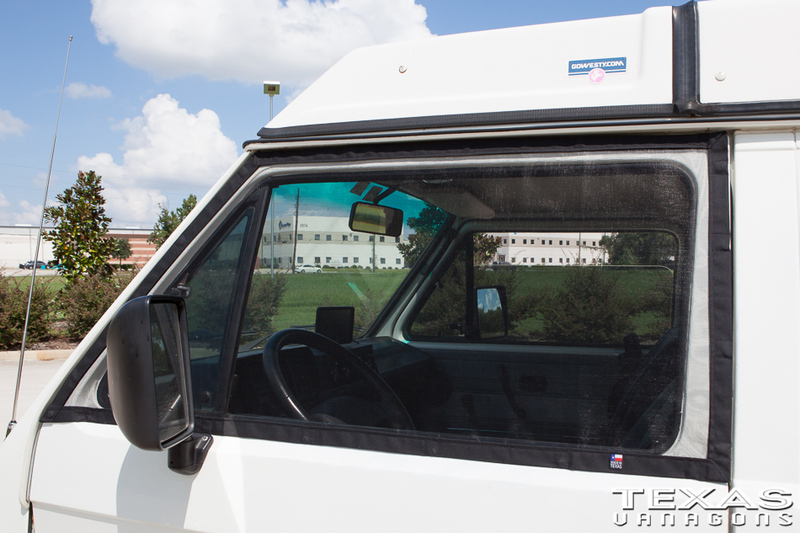 Do you make ones for the side windows, not just the front driver / passenger doors? Anyway hope l can get a set.